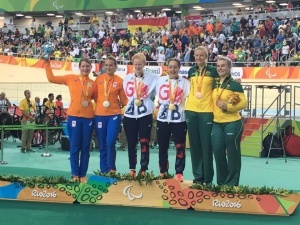 Larissa Klaassen and Haliegh Dolman have won silver at the Paralympic Games in Rio de Janeiro.Larissa and Haliegh rode a time 1.07.059 minutes at the one kilometer in the adjusted track cycling. The gold went to Sophie Thornhill and Helen Scott from England who rode a time of 1.06.283 minutes. The bronze was for Australia (1.10.187 minutes). Larissa has been working since 2013 to ride the Paralympic Games in Rio. A total of fourteen teams competed for the title. 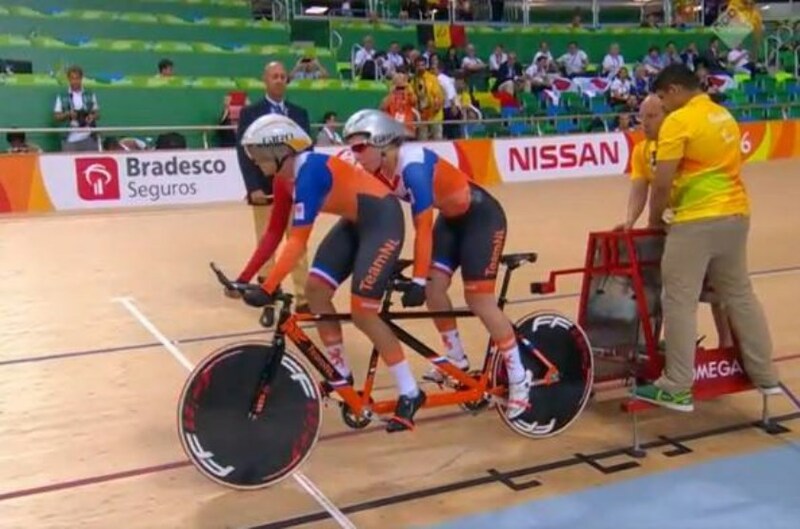 Larissa and Haliegh were the last turn, after the British who drove a Paralympic record. Well done girls !!!!!!!!!! Next KMFAP 19-09-2016 Knighthood Ceremony Slovakia.